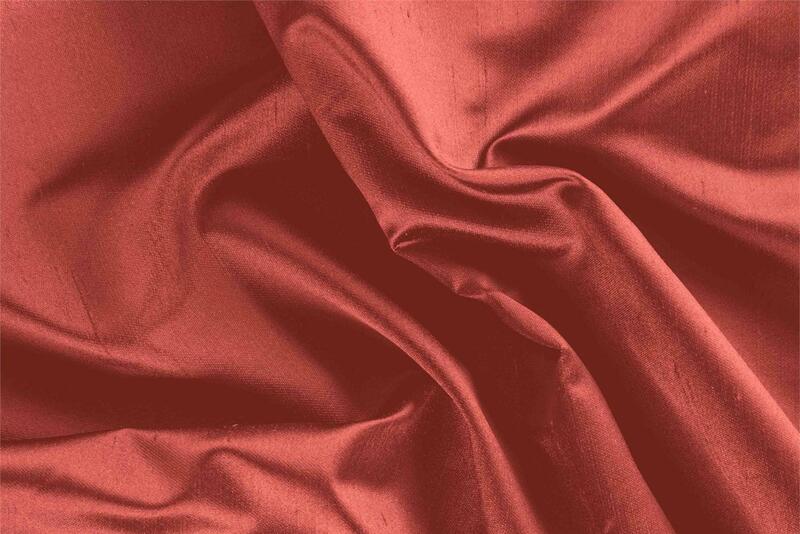 Buy online our clothing and fashion fabric 'Corallo' Red Silk Shantung Satin, Made in Italy. Our silk shantung is an elegant fabric with a sustained hand, typical of organzas, and a rough appearance characterised by knots produced by double cocoons (one silkworm makes two cocoons), that give the fabric a natural irregularity that is truly classy. Suitable for both day and evening elegant garments: skirts, jackets, ceremony dresses, party dresses and wedding gowns. Corallo Red Silk Shantung Satin Plain fabric for Ceremony dress, Dress, Jacket, Pants, Party dress, Skirt, Wedding dress.